I was introduced to Tom Leveen with Manicpixiedreamgirl, a gritty and unrepentant story of teen romance and obsession. I had my bones to pick with that book, but Leveen's style wasn't one of them. I remember calling it "Bret Easton Ellis for young adults" in the most complimentary way possible. It's raw, nihilistic, edgy, gripping. I look forward to that same tone in Random. I'm also intrigued by the plot, especially since cyberbullying is such an emergent epidemic. There aren't many books out there that address it (compared to some more established issues), so it's exciting to see such a polished voice take it on. 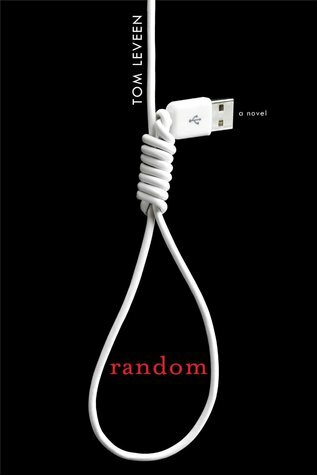 If his last book was any indication, Random will also be unflinching and dark. Leveen isn't afraid to go down the rabbit hole. And I'm excited to follow him there. Also this book comes out on my best friend's birthday, which is weird. If you want to learn more about Tom Leveen, check out this guest post he did for me last year. And if you haven't checked out Thirteen Reasons Why by Jay Asher yet, what are you waiting for! ?